Hello and Happy Birthday! 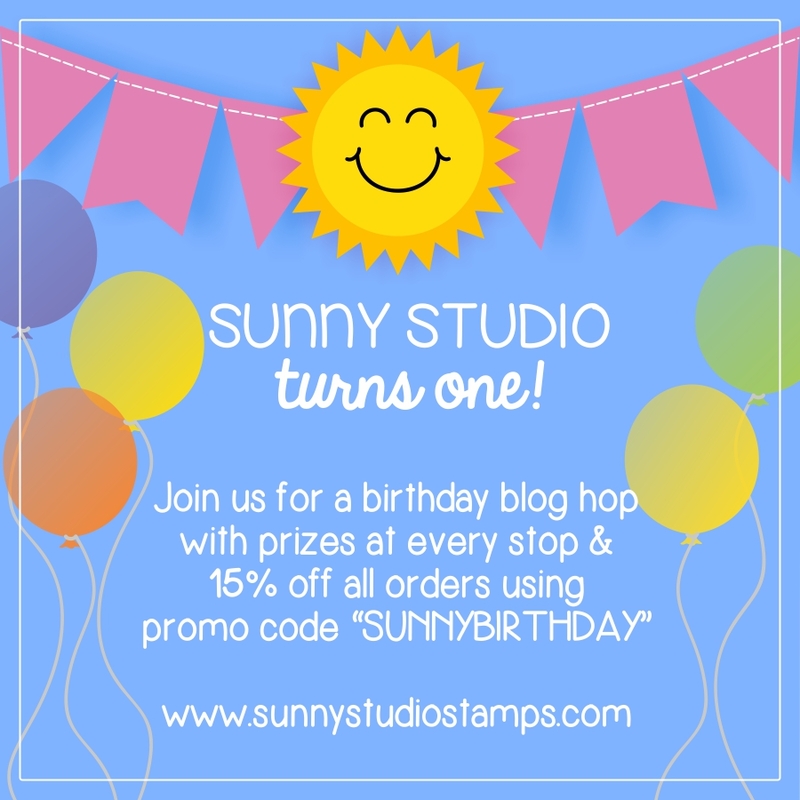 Today I'm happy to be part of the Sunny Studio Birthday Blog Hop as we celebrate Sunny Studio's first Birthday! 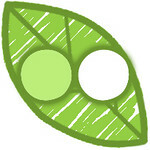 You should be arriving from the always amazing Jennifer McGuire's blog but if you want to start at the beginning a full list of stops on the hop is at the bottom of this post. In addition to lots of great projects on this hop there are other goodies as well...but first the card! I did some distress ink watercoloring for the sky and then used more opaque Prima watercolors to create my grass. I drew in some blades of grass with a Derwent Graphik line painter pen. The cute hedgehogs from Woodsy Creatures are colored with Prismacolor pencils. I then popped them up with some various thicknesses of foam squares. I finished off with some red enamel accents in the little red hearts. 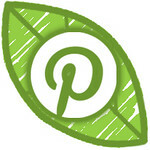 Now for the goodies...each blog along the hop will be giving away a $20 gift card to Sunny Studio. 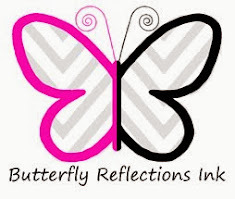 Please leave a comment by Monday night, August 15th for a chance to win. 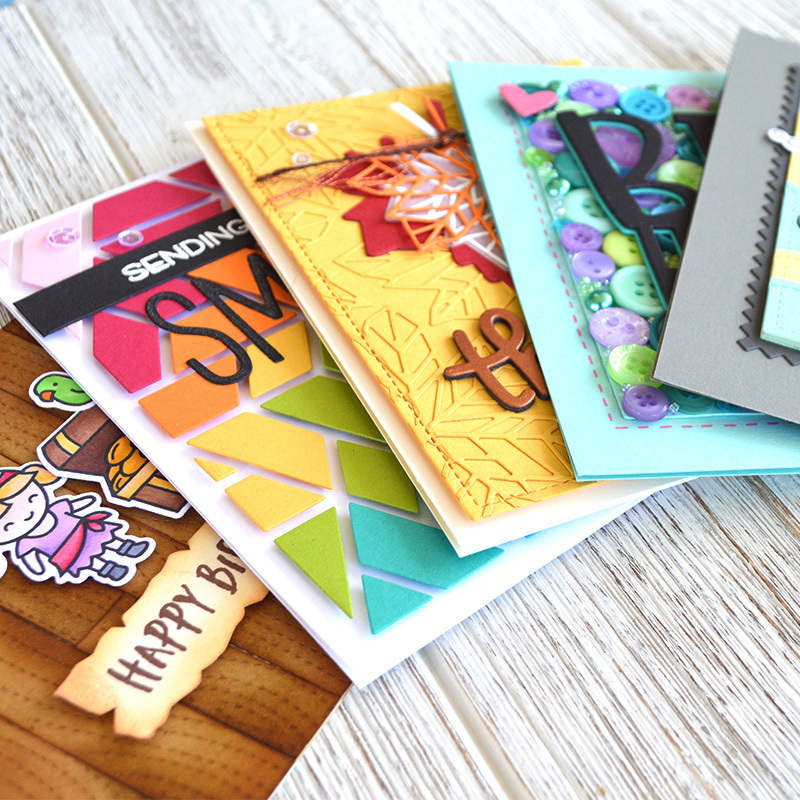 Additionally Sunny Studio is offering a 15% discount with coupon code "SUNNYBIRTHDAY" good through Monday, August 15th at midnight PST. Next up on the hop is Juliana Michaels. 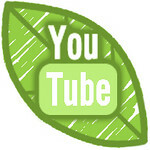 Here is a complete list of the blogs on this Happy Birthday Hop! Very cute card. The hedgehogs are adorable and I love the sentiment! Love the watercolored details on the background. And the hedgehogs are adorable. Love the background and these little cuties! Always love your creations! Cute card... I love the hedgehogs. Wow! Such an adorable card. Love those hedgehogs. Totally cute with the watercolored sky! Super sweet - and they are so adorable. My grandson loves hedgehogs. This would be a great card for him. Thanks for sharing. Cute little card...love those hedgehogs! I always love little hedgehogs. Such a cute card. Love these hedgehogs. Im hedgehog and monster obsessed right now. Aww.... your hedgie card is SO cute!! Love how you did that card!! 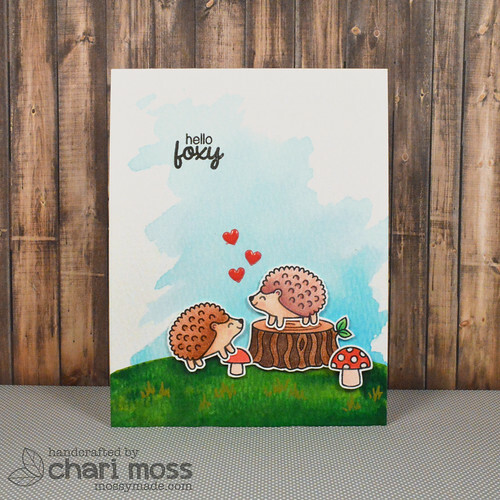 Love these super sweet hedgehogs in love! Cute card. Love those hedgehogs! Hedgehogs are so cute! Great card and thanks for the opportunity to win a goodie! Such a sweet card! These Sunny Studio hedgehogs are completely charming and they look terrific surrounded by the great coloring you did of the sky & grass! Hi Chari ~ Funny.....my daughter is an architect also; just south of Boston!! (She keeps the architect Barbie I gave her at graduation time on her desk!! 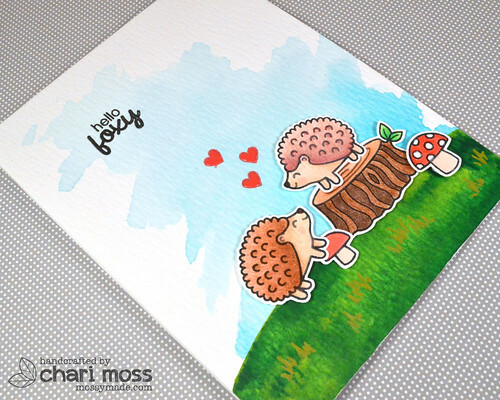 LOL)I totally adore these precious hedgehogs you've done on your card; fabulous coloring! Distress Inks make the best backgrounds, don't they? Thanks for sharing! Oh my gosh, that card is too cute for words!!! I like your coloring of this cute hedgehog scene. Cute card! Love the hedgehogs and the water colored sky looks fantastic. Love this adorable scene with the Woodsy Creatures set! Pretty coloring too! Cute card. Thanks for the giveaway! I am really beginning to love all the little critters that have arrived this year. Thank you for sharing. What a sweet card, continued success for Sunny Studios! Sweet card, love the hedgehogs. Love those adorable hedgehogs! Great card design! I really like how you watercolored the sky. Love these hedgehogs! Great job! Chari, I just love the little hedge hogs they're so cute. Thank you for sharing. 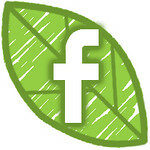 Linda, You are the winner for my blog! Please email Mendi at info@sunnystudiostamps.com to claim your prize. Love your sky. The control of the color is so pleasing to the eye. Love your use of mediums I have! Perfect inspirations for my weekend crafting! Oh, these hedgehogs are irrestible! Cute little scene! Very cute card! Love the little critters! Great card! Those hedgehogs are adorable! What a cute card. Your bold coloring is great. Happy Birthday Sunny Studios and thank you for this blog hop. LOL, this is adorable Chari. Sweet! Your card is totally adorable! I really love how you created the grass!!!!! I love your adorable card! I love the hedgehogs! They are one of my favorite creatures! What a cute card, am particularly fond of hedgehogs! What a cute card. Love those hedgehogs. Very cute card! I will have to try that distress techniche for the background. Love it! I have a little buddy with 2 hedgehogs that look just like the ones you stamped and colored! I know what she'll be getting for her upcoming birthday. Too darned cute for words! Nice coloring techniques, too. Love this card and the adorable little hedge hog. Your coloring technique is beautiful! Love your design and how you added interest to the grass with the painter pen. Thanks for sharing! I love the little hedgehogs! Thanks for sharing. Love your card. The grass looks so real. Your coloring is always so pretty! Love the color the background, barstools and hearts add to this adorable card! Nicely designed card. Cute little creatures. Just read your bio. 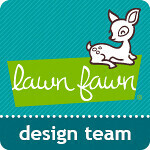 - I'm an Architect, Designer and Crafter, too!!! Your talent makes making nice cards, like this, look so easy! Thank you for the inspiration! Such a cute, beautifully colored card. Loved how you used different methods of adding color. So much cute fun. I love how all the color came together on this. Thanks much for sharing your talent. Super adorable card! I love the cute scenes you create! 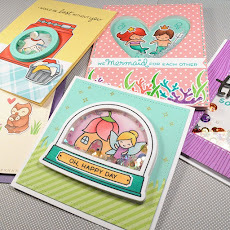 Adorable cards, Chari! 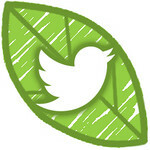 Thanks so much for sharing with us and for participating in this great hop and giveaway! So cute! Anyone would be happy to receive this card! Cute little hedgehogs! Aren't Mendi's designs delightful? Thanks for sharing your cute card! Super cute card! I love the adorable hedgies! What a cute hedgehog card! I love critters and you created such a wonderful card! What a cute card. Perfect for Valentine Day or any day for your Valentine. Very sweet card - thanks so much! Love the hand drawn grass and those lovely hedgehogs! Really cute card!!!! Very nice work! What a sweet card! And the hedgehogs are way cute! Love the distressed ink background. Very cute card. This made me smile. Love how you did the grass. Thanks for sharing. Very nice card such a cute saying with the card! Thanks for sharing! Cute card!! Sunny Studios is amazing and I am so impressed with their product!! Congratulations Sunny Studios on one terrific year!!! Your card with the hedgehogs is adorable! I love the soft watercolor background! What a super sweet card. Love the layout and the hedgehogs are adorable. Adorable card. Love the sentiment! So sweet! Love the hedgiehogs! Cute and fun card - what a charming scene and the coloring is so perfect!! 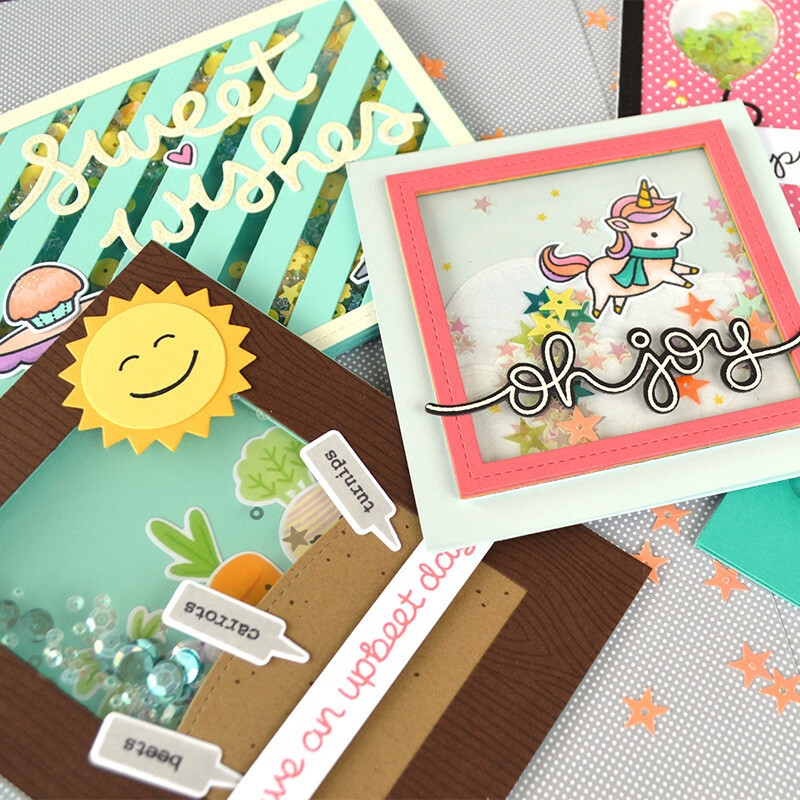 Love the way you have used Sunny Studio stamps!! Happy Birthday Sunny Studio. Adorable card!